Fixit! 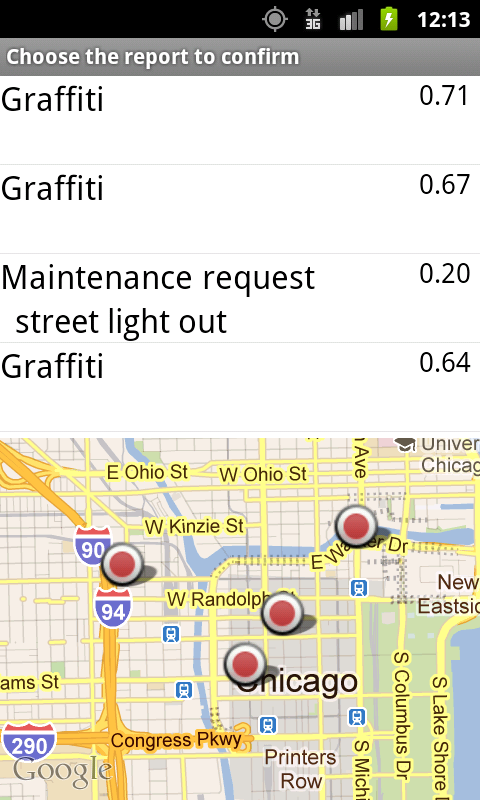 is a Northwestern University Aqualab project built around collaborative civic engagement. 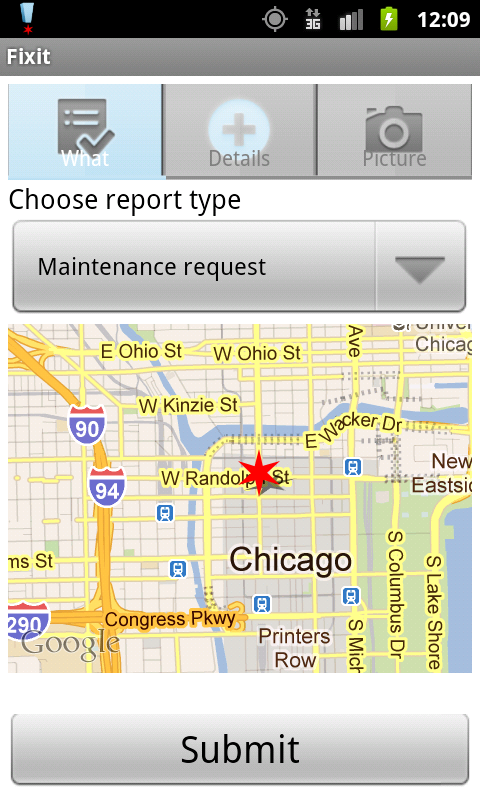 Originally developed for the 2011 Apps for Metro Chicago competition, it allows citizens to report broken streetlights, potholes, graffiti, and other public property issues that require city attention. Once reported, Fixit! unintrusively asks other users in the area to confirm or refute the request. The result is a curated, crowdsourced list of items for the city to take care of, allowing it to dispatch personnel with greater confidence that there is anything to fix and to have a sense of which issues are affecting citizens the most.